BorderX Lab has one mission – to make it safe and convenient for shoppers worldwide to buy authentic products at a fair price. A global leader in cross-border e-commerce, BorderX Lab has developed an innovative personalization and logistics platform to create the world's best cross-border shopping experience. BorderX Lab also works with a hand-picked team of in-house influencers to create highly-engaging original content to showcase brands and products. Why and when was BorderX Lab created? BorderX Lab was created in 2014 by three ex-Google computer science phDs originally from China but living in the Bay Area. They noticed that when they went home, their ability to buy the best products from the US and Europe was very limited and when they could find products they were much more expensive than back in California. The company’s mission is to bring the same consumer lifestyle enjoyed by consumers in the North America or Europe to the emerging global middle class. We offer the same price, long-tail product line and promotional opportunities to our consumers as they would receive if they lived in L.A. or London. Global Chinese are our first target market, we serve them via our Beyond mobile app. In what way does BorderX Lab utilize affiliate marketing? Our model requires two elements to be really successful: content collaboration and precise event tracking. Affiliate is a perfect fit as the interface allows merchants to clearly message promotional and product drop information to their publishers. The tracking dashboards are a good source of information to track sales and to reconcile at the end of the month. We rely on networks to play matchmaker to vouch for our quality, volume and trustworthiness to new merchants. What kinds of products and deals resonate with your audience? We have five key category pillars: beauty, fashion, sneakers/streetwear, mom & baby and health & nutrition. Exclusive products do really well for us for sneakers and fashion, GWPs are huge for beauty, mom & baby and health & nutrition resonate with our audience when they are quality products that have a great reputation, are viewed as innovative and have a discount to entice people to try. How does BorderX Lab differentiate itself from competitors in the affiliate space? Technology. It’s at the core of everything we do. We were founded by three computer science PhDs and the strength of the company is building out these technical, scalable solutions to solve cross-border e-commerce problems. No other has our combination of technology, transparency and know-how. We are a Silicon Valley company that has created this great technology that allows you to sell to global Chinese with little or no integration. We have no hidden fees and are very transparent about who our customers are. Most importantly, two thirds of our employees are in China; they understand the market and know how to take care of our merchant’s customers. 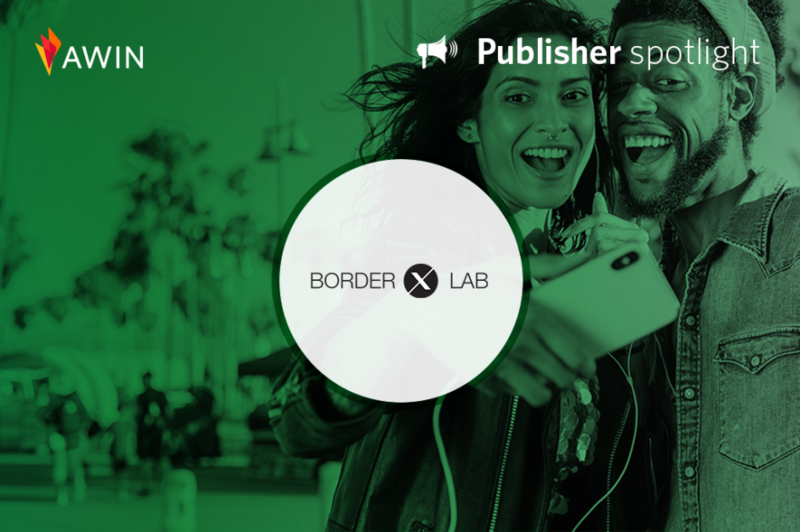 What are benefits for advertisers working with BorderX Lab? I would say the biggest benefit for merchants is our content. We have 12 content editors that are churning out between 50 and 60 articles each and every day. This content is what drives sales on our platform. Think of us as a sort of an online magazine that tells people what’s worth buying. That content is an important selling point for us, and it drives (depending on the merchant) anywhere from 50 - 70% of our sales right now. Content is a rising tide that lifts all boats, though we have a little less than 10 million registrations, our high-quality content gets a lot of sharing on Weibo, WeChat and Douyin (a big video platform in China.) Last year, we had about 100 million unique Chinese speakers around the world view at least one content piece. There’s this great halo effect where the product reviews and articles that we post get read by a lot of people. What is the best way that an advertiser can help support their partnership with you? Support us to help generate new incremental customers. Provide us with content that help differentiate your products. Great pictures, videos and articles help us tell your story and get shoppers interested. Support us with sample product we can use for reviews, giveaways and product seeding to our loyal customers. Product seeding helps generate UGC (user generated content) which gives social proof that pairs well with our professionally written content to drive sales. Finally provide good promotions to capture the interest you’ve generated and give those first-time buyers who are sitting on the fence a reason to try the product now. Why did you join Awin, and what features do you enjoy? We joined Awin because there are a number of great merchants on the network and their technology is top quality. The setup process was seamless and we have found the platform easy to use. Additionally, the Awin publisher management team does a fantastic job of finding new opportunities for us and matchmaking BorderX Lab with relevant brands. We are increasingly excited with the growth opportunities. There are a number of multi-million dollar potential partners in the network and we look forward to working with Awin to help us actualize the potential. Do you have any upcoming promotions, new launches, or exciting news you would like to share? We have some wonderful new personalization features that will really help deliver content and product information to our users most likely to buy. Our user base is growing quickly and we expect to keep our current growth rate (three to five times annually) in 2019. There are a lot of great opportunities to partner up with us in the coming year. Has there been a pivotal shift or turning point in your affiliate activities within the last 12 months? If so, what was it? We’ve had a huge influx of male users in the past six to seven months that expanded opportunities for a number of different merchant categories. As recently as last July we were almost 90% women, which boded well for beauty and fashion but hurt us in other categories. Our recent marketing efforts as well as viral content has made our male users spike to 34% of total users. The new users came in so quickly that they made our app the top downloaded ios shopping app in China for a few days last December, very impressive considering the size of some of the companies there. We now have thriving businesses with our partners in sneakers, nutrition, outdoorwear, etc. Interested in partnering with BorderX Lab? Please contact Jeff Unze at BorderX Lab or our publisher management team.